Description: SayRah‘s Afro-fusion dance classes allows you to Delve in movements from the motherland. exploring African street/social dances (mainly West African Street/social movements) with a focus on Nigeria and Ghana. These dances are then fused with various types of dances from around the world in Choreography. it‘s a fun 2hour class that will keep you engaged the entire time! Note: it will be $25 at the door without this online ticket. 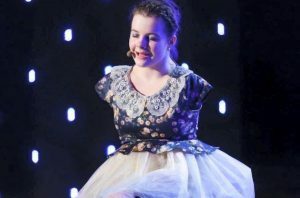 The girl with no hands plays the piano, what your excuse?